Find Eleuthera luxury homes in the Bahamas below! Located 50 miles east of the Bahamian capital of Nassau, the serpentine Eleuthera Island features some incredible and luxurious real estate that are truly wonders to behold! Away from the larger communities found on other Bahama islands, home buyer's will be able to find a degree of serenity in a one-of-a-kind tropical getaway. 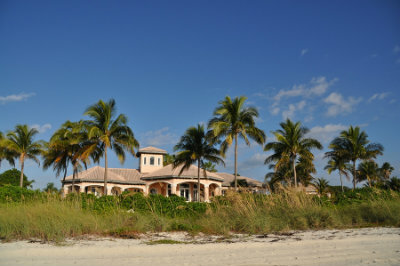 Many of these magnificent estate properties feature their own private beaches, or deep-water access for your yacht. Come experience the true meaning of luxury on the gorgeous Eleuthera Island! Check out the beautiful Eleuthera Luxury homes for sale available below, or learn more about the brilliant oceanfront luxury properties available on this one-of-a-kind tropical paradise. The Eleuthera Islands have had an important part to play in the history of the Bahamas, as one of its longest settled islands. Named for the Greek word meaning "free", the laid-back attitude of the island is hinted from its name. This combined with a surreal and unrivaled beauty has made it a sought-after location internationally, and as a result the setting of several beautiful examples of exemplery luxury real estate! The long, thin shape of the islands lends its communities unrivaled access to the pristine, aquamarine waters of the Caribbean. The stunning Eleuthera luxury real estate offers fortunate home owners access to stunning private beaches, or exclusive deep-water access for their yachts. From this ideal perch, residents are able to explore the thrilling ocean waters surrounding the island, teeming with tropical fish. Unrivaled access to some of the best scuba/snorkeling in the Bahamas. Beautiful luxury homes that mirror the beauty of the island. Are you interested in learning more about the Eleuthera luxury homes for sale? Take a moment to contact the Dupuch Real Estate Team online or call 242-393-1811 to connect with an experienced Eleuthera real estate professional.